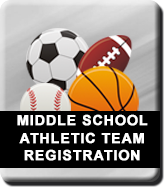 Students registering for athletics must have a current physical examination on file in the nurses' office in order to participate. The pre-participation physical evaluation (PPE) is good for one calendar year and needs to be completed by a doctor on the paper form. One calendar year is from the date of the physical until the exact date the following year (Example: 8/10/2019 to 8/10/2020).